← To punish or not to punish? We talk a lot about offenses, shooting and other technical things about basketball. Tonight I was reminded what basketball is (also) all about: Heart and love. 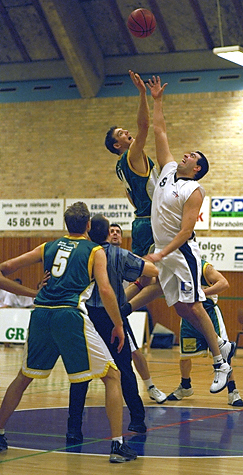 In the terrorist attacks in Copenhagen over the weekend we lost a cherished member of our basketball club, Dan Uzan. We had a game on Monday night and the outpouring of love from Dan’s friends and family was incredible. The crowd was full of people that the Gentle Giant had touched over the years. Friends who had grown up with him, teammates from the last 20 years, opponents. We had players on our team who almost didn’t take the court because they were so emotional, but when they got there, they played their hearts out. The smallest player on the court took five rebounds, running in among the big men, throwing his body around, as he just willed the team to victory, playing for Dan. Nothing was going to stop those players getting that win tonight and that’s such a powerful reminder of what basketball is about.